La Gloria Cubana Serie N cigars have one of the most unique boxes in the business, with a hexagonal, cherry-red wooden cigar box. As for the cigar, it is a full-bodied cigar that is balanced and refined, but is accented by spiciness that many of us come to enjoy. 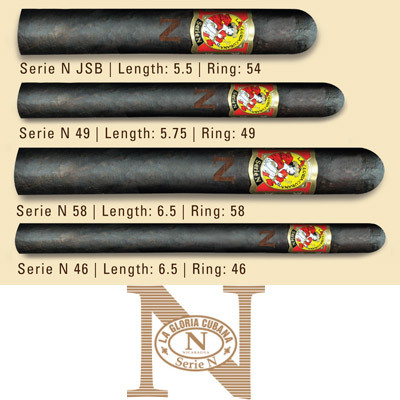 These Serie N cigars feature a capa oscura wrapper (which is an Ecuadorian Sumatra Wrapper that is exclusive for this brand) and a proprietary Nicaraguan filler and binder. 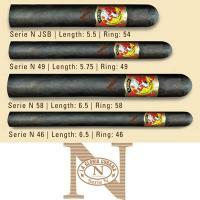 These cigars are truly a gem, a masterpiece, so try any of the four sizes today and be amazed!